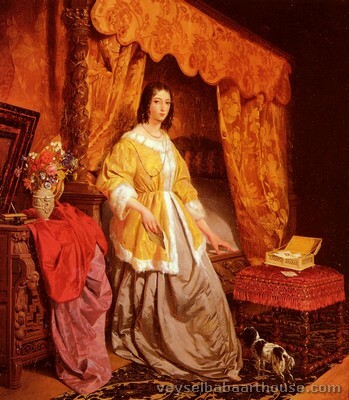 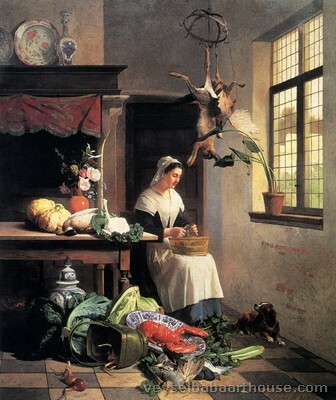 David Joseph de Noter was a Belgian artist who was born at Ghent in 1825 before finally settling in Brussels. 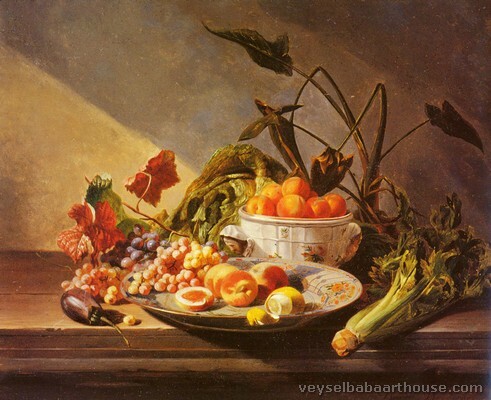 de Noter travelled to Algeria and specialised in subjects which were either still lifes or images containing an element of still life within them, he is known to have worked in collaboration with Gustave Koller. 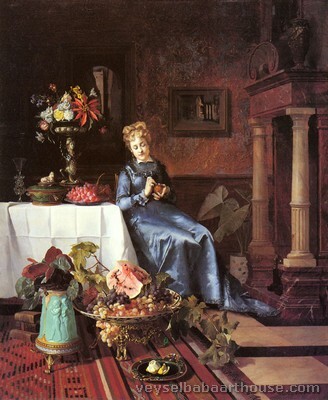 He exhibited in Courtrai, Brussels, London, Paris and various other venues in Europe, he lived with J Goupil in Paris in 1864 and at Le Vesinet in 1867 and participated in Paris Art Exhibitions in 1855 and 1864. 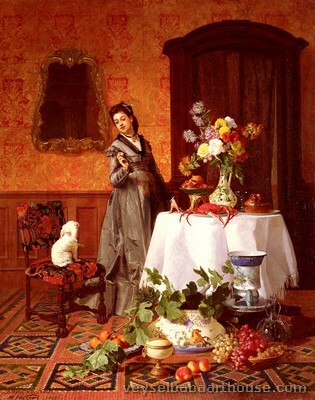 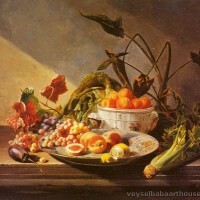 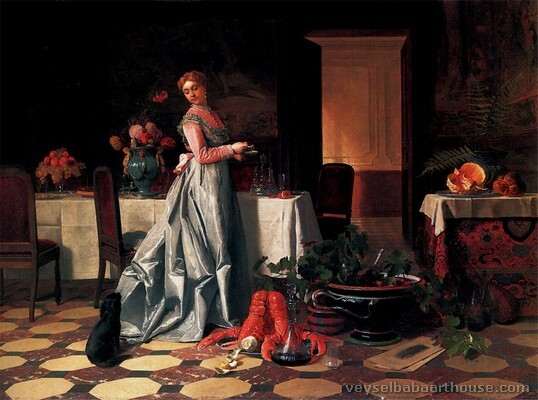 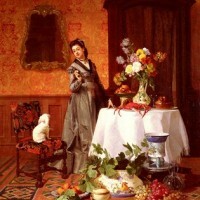 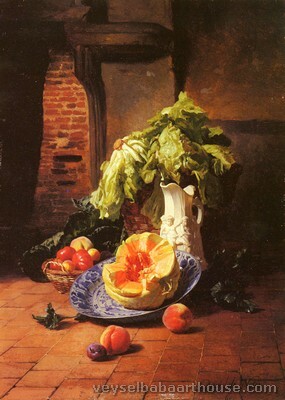 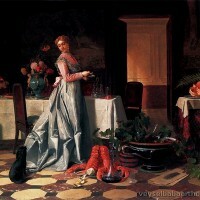 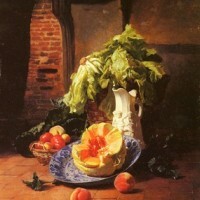 He became a still life painter of distinction and received medals for his work in 1845 and 1852. 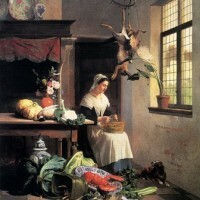 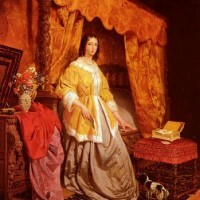 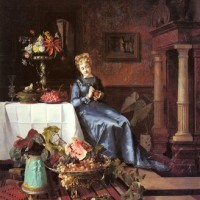 There is a panel in Courtrai Museum painted by de Noter of birds and flowers and a still life in the Brussels Museum.